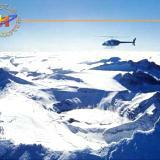 The Helicopter Line is New Zealands leading Scenic Flights Helicopter company; operating with a fleet of modern Jet Helicopters based at Mount Cook, Franz Josef Glacier, Fox Glacier and Queenstown. There is no such thing as a normal day. Ever since their formation in 1983, this dynamic, highly successful, privately owned business has been all about providing an experience of excellence for each and every customer. 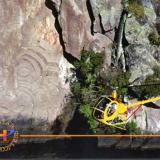 A great introductory flight for those wanting to see Taupos beauty from the air. A truly magical experience! This journey takes in Lake Taupo’s scenic spots on the way to Mount Ruapehu’s steaming Crater Lake, set amongst snow covered peaks. 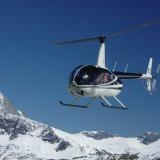 Wanaka Helicopters depart Wanaka airport and take you on a spectacular scenic flight including a remote alpine landing. 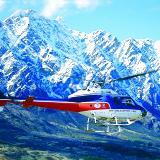 The epic choice, a non-stop adventure flying over snow covered mountains, crystal clear rivers and wild horses in the Tongariro World Heritage Park. 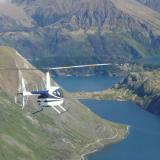 Wanaka Helicopters depart from Wanaka airport. 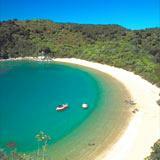 See some of New Zealands best kept secret spots. 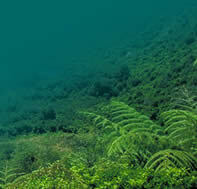 Experience the natural beauty of Wanaka at its best with incredible views.